Your wedding photos are what you will always cherish and reminisce on. Why you should always look for that particular wedding photographer that can create and encompass the beautiful background and palette that Charleston, SC has to offer. ..Engaged couples looking into hiring a wedding photographer should look at those qualities that a wedding photographer can offer. Yes, you are in love with Our Holy City, and why you choose to have your nuptials here. You are about to celebrate, laugh, enjoy and want to have those preserved memories captured in a very storytelling compelling way, but those wedding images must also represent and showcase your love being captured in this city. 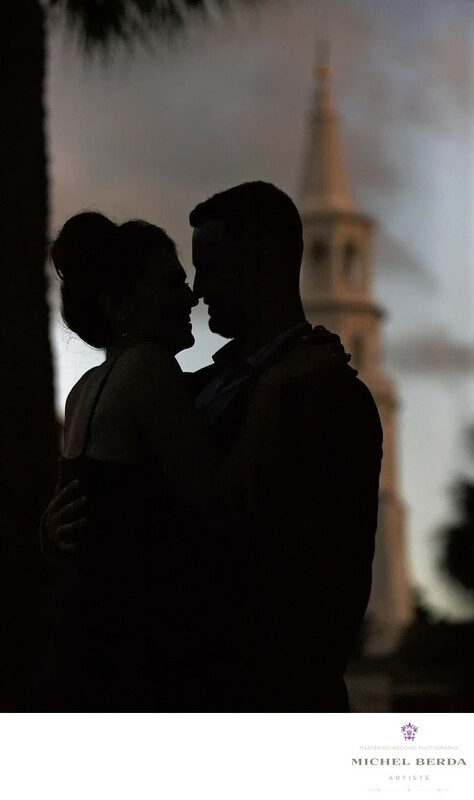 ..This is not a wedding image when I had a phone conference with this future wedding clients, I asked them to give me why they picked Charleston, SC and what really stood out about Our Holy City, what they could imagine the wedding images, in this case, engagement photos looking like. ..To me, this engagement image gives any viewers the beauty of Charleston, SC and it also shows the love and future this couple will have for one another for many years to come.Keywords: Charleston (1179), charleston wedding photographers (15), Michel Berda (1140), photographer (1125), Wedding Photographer (1254), Weddings (168).